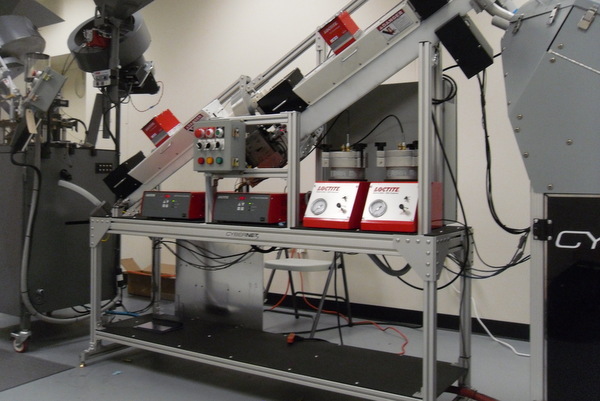 Cybernet Systems Corporation, a leader in Automated Ammunition Equipment for cartridge and munitions manufacture, inspection and characterization, offers a broad line of automated ammunition inspection and classification products to law enforcement, the military and commercial manufacturers. A field rugged ammunition inspection, classification, and recertification system used by the U.S. Military to reclaim/reuse munitions at training ranges and forward areas where soldiers turn-in unused or confiscated ammunition. 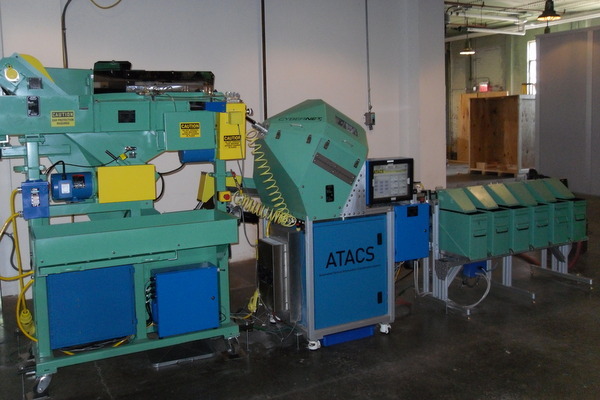 ATACS technology is also used for final inspection of newly manufactured rounds. 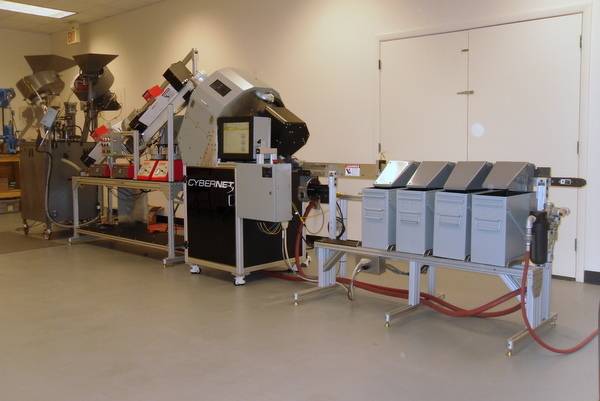 An of ATACS technology that performs inspection of spent cartridges before they are sold to the metal recycling market. It removes unexpended rounds from bulk casing accumulations for reuse or demil, increasing the speed, accuracy and safety of the ammunition reuse/recycle process. A "barcode scanner" for large caliber munitions. It identifies and inspects munitions by shape, color coding, optical character recognition, and code reading - making it ideal for load assurance of proper round types. 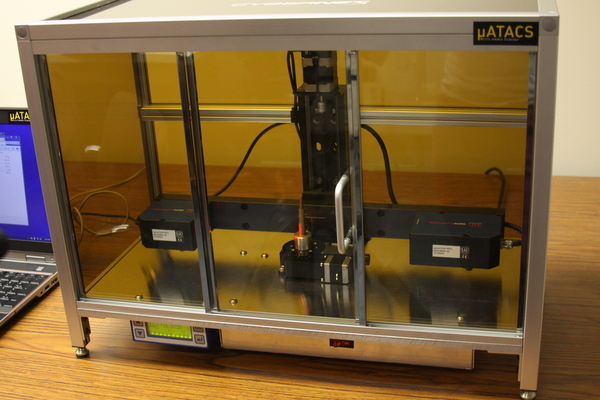 A table-top machine that performs single cartridge or round profile capture and comparison to as-manufactured 3D dimensional standards for round type. It is ideal for single round optical chambering tests, or tests supporting munitions manufacturing process quality control. 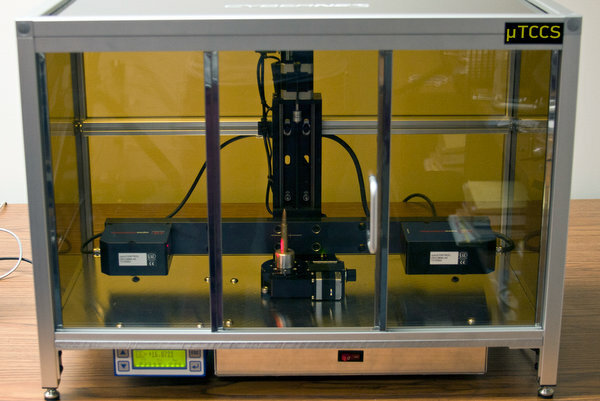 A table-top machine that performs single cartridge, bullet or round 3D profile capture and side/head stamp image capture, and supports comparison of 3D dimensional standards and against previously captured rounds. It is ideal for single round optical chambering tests, munitions manufacture quality control tests, or cartridge/bullet forensic analysis. 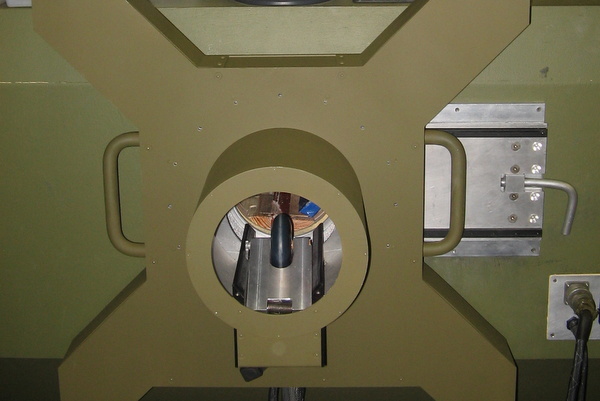 Agile Multiple Caliber Assembly and Loading Line (AMCAL) manufactures small arms munitions ranging from 4mm to 50 caliber with simple reconfiguration of a common manufacturing core. 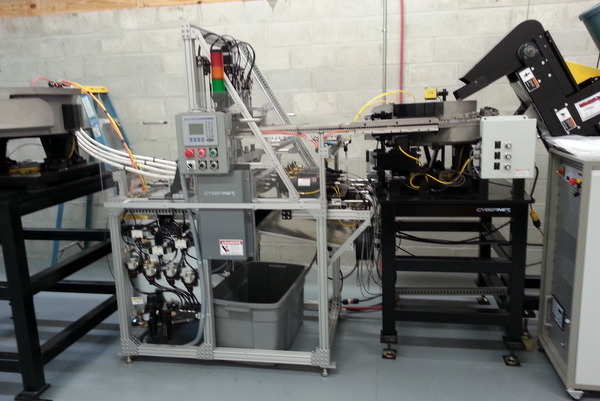 Multiple Caliber Sealing Machine (MCSM) applies and cures sealant to ammunition in sizes from 4mm to 50 caliber with simple reconfiguration of the holder belt assembly and reprogramming for sealant-specific application and curing. 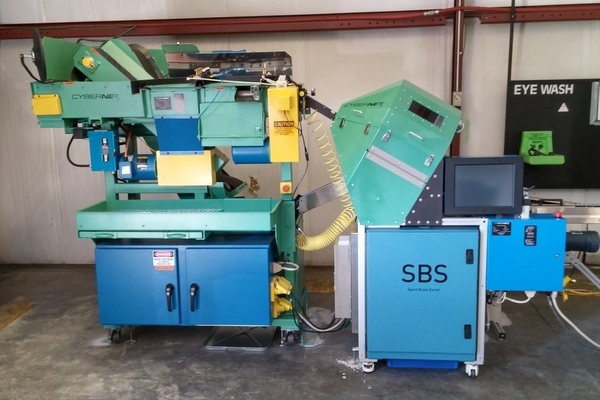 Multiple Caliber Polymer Case Assembly Machine (MPCAM) builds two part polymer (plastic) cases for munitions ranging in size from 4mm to 50 caliber with simple reconfiguration of a common manufacturing core. Cybernet is a leading developer and manufacturer of automated ammunition equipment for the U.S. Army. We build the listed standard products, but all of them include customized engineering support and design services to ensure our solutions meet the specific needs of government and commercial manufacturers, users, and analysts of small and large caliber munitions. Cybernet Systems is a small business, with an extensive track record of designing and developing vision systems for automated inspection, tracking missiles, tracking humans, identifying machine parts, performing non-destructive inspection, autonomous navigation of robots, and projectile identification. Our technological programs support U.S. Military operations world-wide.